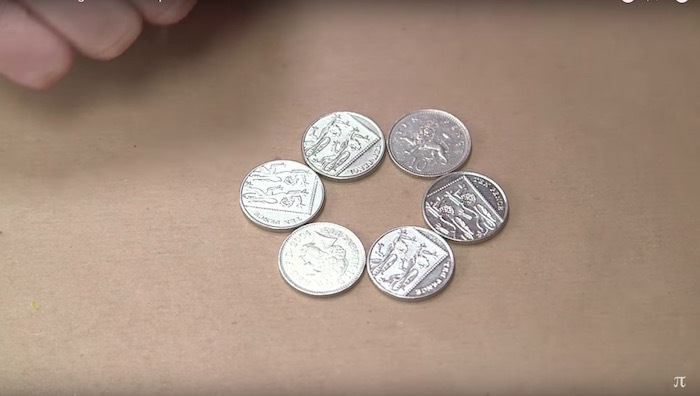 Coin puzzle: How do you make a circle of 6 coins from two rows in only 3 turns? Now see if you can arrange them in a circle with only three moves. The two rules: you can slide them but not pick them up, and you must move them to a position where they are touching two other coins. Here is a video explaining the rules a bit more, but spoiler alert: don't go past 2:37 unless you want to see how it's done.